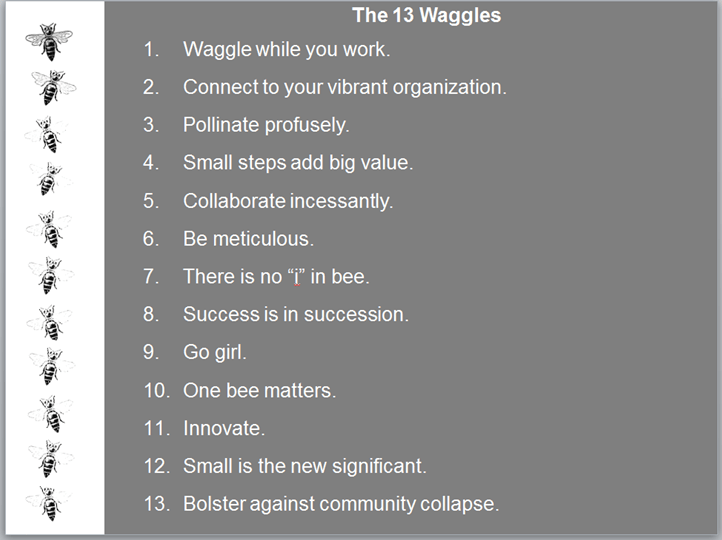 Engage the connection between social media and a living social beehive. Today between 9 and 10 CDT, I will be putting a computer live inside a beehive. The hive is located near Starbuck Manitoba and belongs to an extraordinary beekeeper, Phil Veldhuis. The computer screen will be turned on to a Twitter page set for #orgbee. I would appreciate if you would send a tweet between 9 and 10 with the hashtag #orgbee. Your tweet will show up live in the hive, not sure the bees will read it but each tweet will result in a donation to honey bee health. 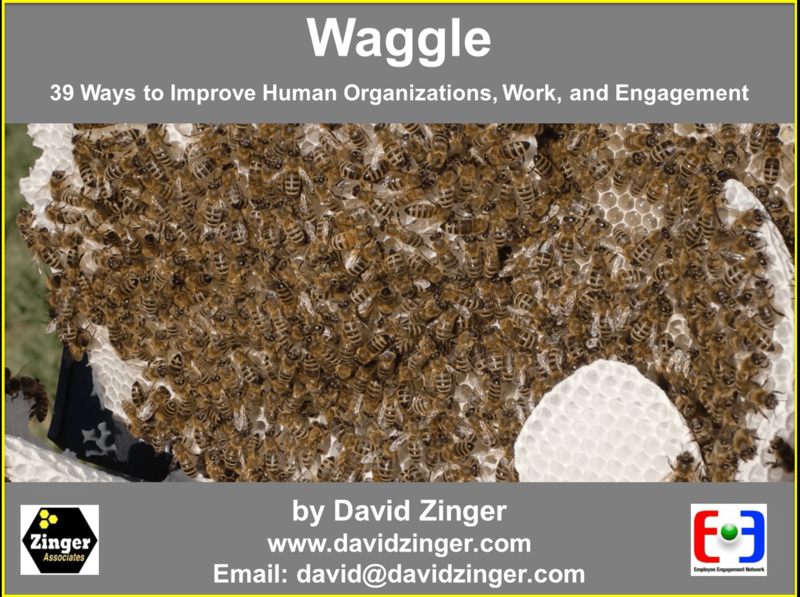 I believe we can learn much about engagement, work, and community from honeybees and it would be good to also give back to them for what they can teach us. During the next 12 months this blog will have a series of articles exploring the connections and learning between employee engagement, work, organizations, community, and social media. If you don’t have a twitter account you can also leave a comment here. To get a taste of what is going on watch this short one minute video from last year. If the video does not open in your window, click here. Engage the Hive with David Zinger from David Zinger on Vimeo.